Amy knows that Loki will find her, one way or another . . . eventually. But as the weeks have ticked by she's lost hope. Called into the FBI headquarters to identify a magical artifact, Amy gets the opportunity to find Loki for herself. In doing so, she tips the scales of not one, but two universes, and has to choose for herself what form she wants Chaos to take. 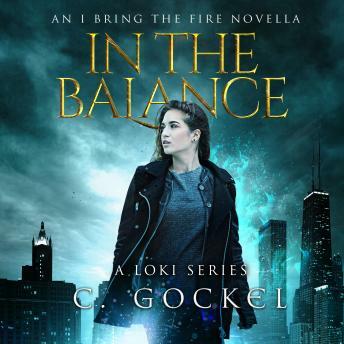 The fate of the Nine Realms is in the balance, and this time it is in Amy's hands.